As Manchester City’s travelling support gear up for a third instalment of Champions League déjà vu and another trip to the Nou Camp, one man has been broadening his sky blue horizons… way beyond Bayern Munich, CSKA Moscow and Barcelona. 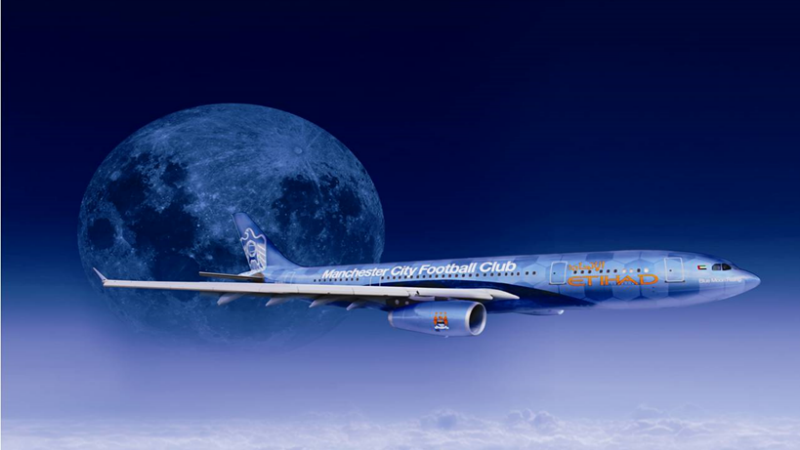 Cracking read – Pride In Travel will delight MCFC fans. 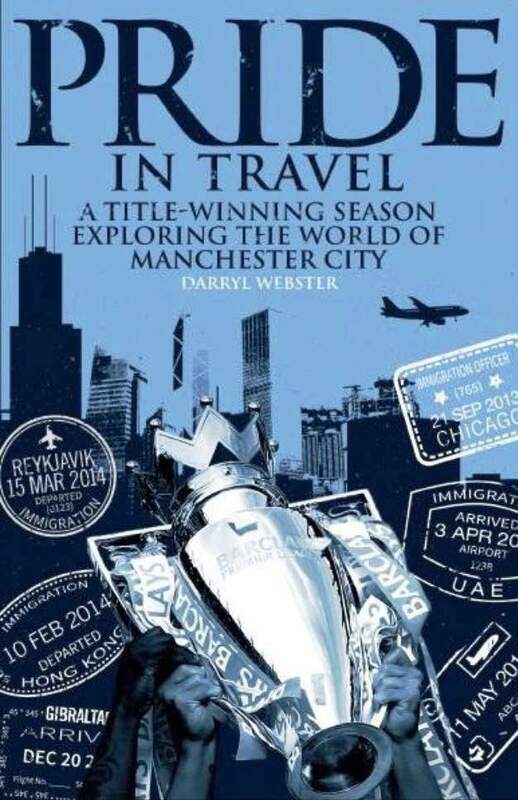 Whereas so many of City’s away fans feel a certain sense of disappointment that 75% of this season’s European excursions have turned out to be a ‘been there – got the T-shirt’ type of experience, Darryl Webster’s sky blue travelogue is a veritable voyage of virgin discovery. Now a ‘Thirty-Something’ Canadian, Darryl was weaned on a staple diet of ice hockey and baseball until, at the age of 17 and inspired by the 1994 World Cup in the USA, he fell in love with the ‘beautiful game’ – soccer! The German World Cup squad were based in a training camp a short drive from Darryl’s home near Toronto and this started the proverbial ball rolling. His enthusiasm for ‘football’, minus helmets and pads, was born. 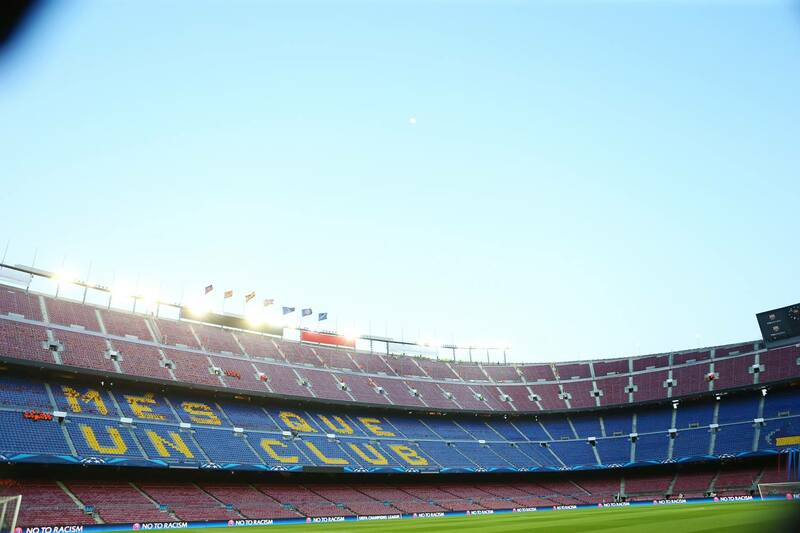 Having toyed with the idea of supporting, Glasgow Rangers or Barcelona due to family and girlfriend connections, he eventually arrived at the notion that turned into a passion – he would support the best team in the land and all the world – you know who! Even with his fledgling insight into football he intuitively knew it was wrong – in oh so many ways – to support Manure. 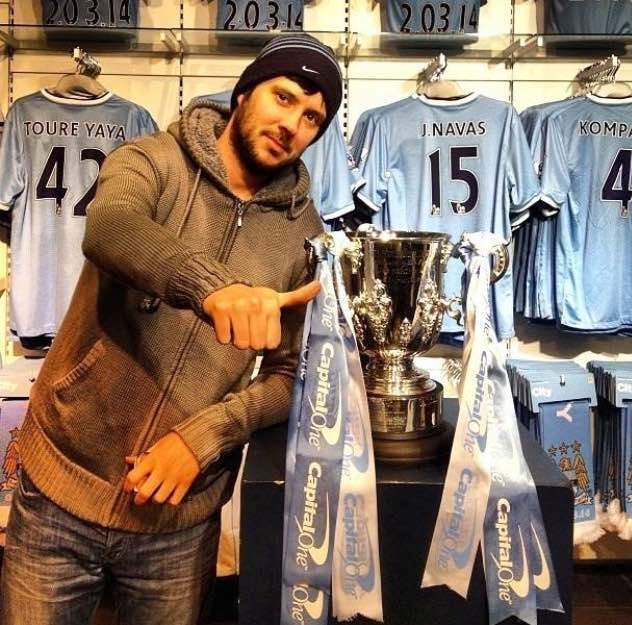 Instead, this obviously masochistic young man from the land of the Mounties, chose Manchester City. He admits he is a serial backer of the perennial sports under achiever – hence City fitted the description. As a lifelong fan of ice hockey’s Toronto Maple Leafs – a team which consistently flattered to deceive – City provided the perfect stable mate. Undoubtedly influenced by his sister Kimberly’s love-led move from Canada to Manchester, Darryl wasn’t easily put off by his first match in 2006, a chilly and underwhelming encounter as City edged Middlesbrough 1-0, with Richard Dunne heading the winner at the then, City of Manchester Stadium. Make no mistake – the author is no ‘Johnny Come Lately’ glory hunter. He WAS there when we were sh*t.
20 years on from his introduction to the game, Webster’s wanderlust, combined with his passion for his beloved blues, has culminated in a joyous book with which any self respecting City fan, the world over, should feel a connection. ‘PRIDE IN TRAVEL – A title winning season exploring the world of Manchester City’ records the adventures, experiences and emotions of a man who had a ‘crazy idea’ – to take a year out of his life to watch the eventual Champions of England in City Supporters clubs and pubs around the globe. 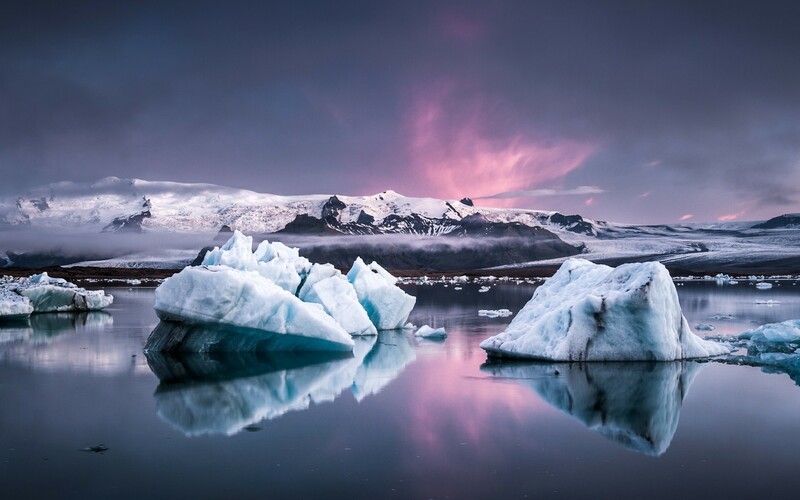 Darryl went to Iceland – no not the supermarket – on his MCFC inspired Pride In Travel odyssey. Darryl’s odyssey sees him cover 40,000 miles, hook up with hundreds of fellow Blues in faraway places and down God knows how many gallons of local brews and exotic ‘shots’, as he uncovers the origins of City support in foreign climes. His ports of call are diverse in the extreme. Yes, you’d expect burgeoning City strongholds in New York City and Chicago to feature, but you’d be forgiven for not putting The Isle of Wight, Gibraltar and Reykjavik on any international itinerary. 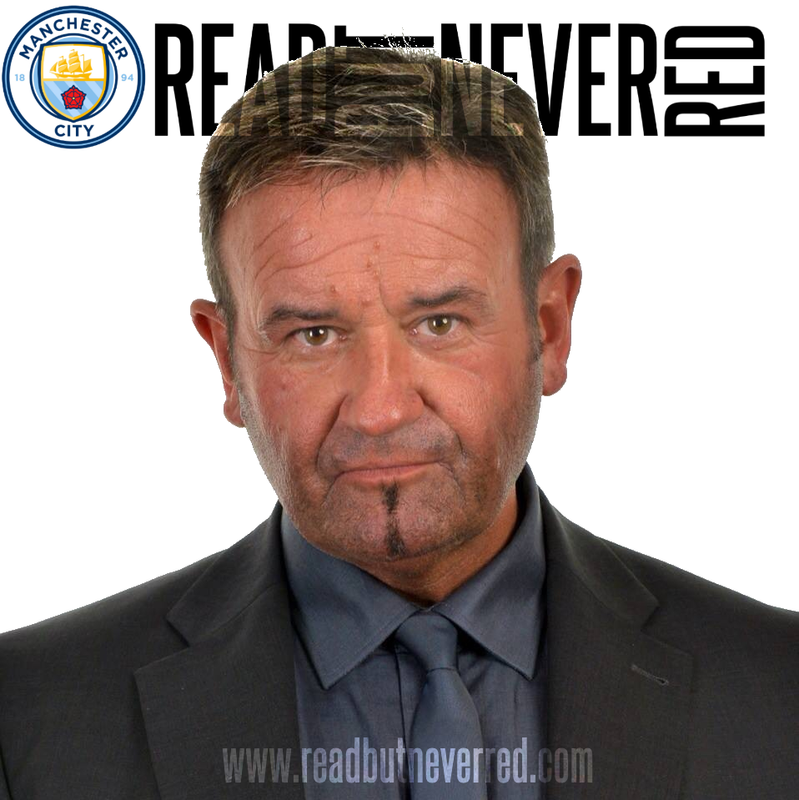 Riddled with humorous and poignant anecdotes, Darryl conveys a wonderful insight into the lives of Sky Blue fans, far removed from the postcode M11 3FF. Enlightening, entertaining, funny and sometimes sad, the author lovingly recalls his exploits spent in the warm, often exuberant company of strangers – new acquaintances – rapidly transformed into friends, born of their shared love for Manchester City. The warmth, affection and camaraderie evoked en-route, between Darryl and his numerous hosts comes through in the book, as loud and clear as a hefty rendition of ‘Blue Moon’ reverberating around the Etihad, as City seal another great home win. 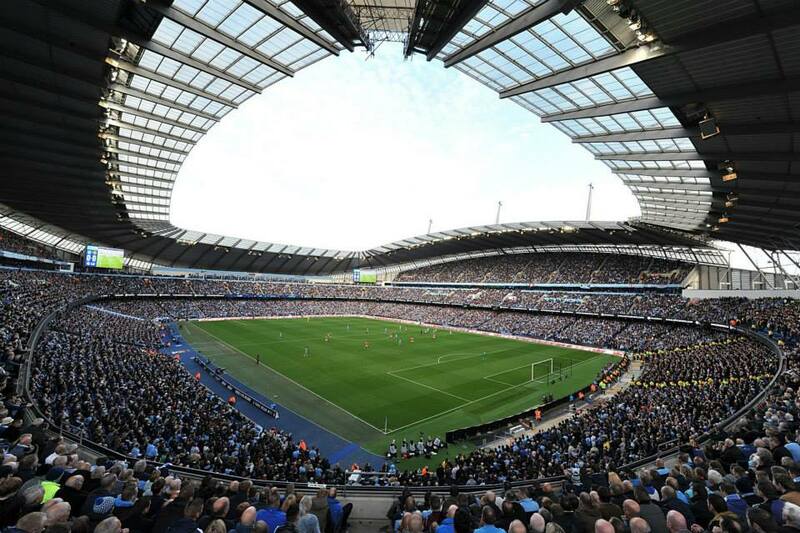 The author – Darryl Webster’s insight into City fans around the globe is a must read. From Opera Bob’s Public House in Toronto to the ‘Star Trek’ land – or lunar – scape of Iceland, from a conga on a coach heading back to Manchester after Wembley glory, to a last minute panic to get a passport to Abu Dhabi…this is a carefully crafted, well structured and colourfully conveyed tome. It’s recommended reading for City fans and, with Christmas just a few days away, Pride In Travel (Pitch Publishing RRP £12.99) is now readily available in the City Store at the Etihad and in Market Street, WH Smith in the Arndale Centre and via Amazon Books. 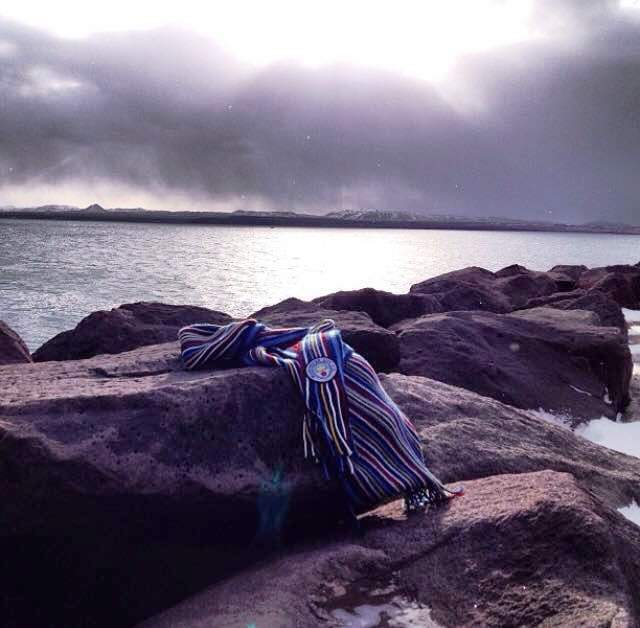 Symbolic image – A City scarf set against the lunar landscape of a far away land. Hope his Canadian medical care covers the damage to both heart and liver that supporting Manchester City inevitably causes! Thanks for the feedback and I would like to just about guarantee you will not be disappointed. A smashing read...and just in time for the fat fella in red to deliver...no not Rooney...the other guy who comes once a year down your chimmney. Mr Walker, he has not been to Leicester to interview me about my travels from the 60s onwards, but hey everyone thought that Helen was our number 1 supporter at the time. But joking apart this looks brilliant well done to Darryl and you to for plugging it and writing a first class piece on it. Get Debbie or Josh to buy it for you as a 'stocking filler' I know how much you like to see stockings filled! It's an excellent read. As for the ref...whoever it's going to be - if he leaves my team alone, then I'll happily leave him alone...& pigs will take to the sky! ..& pigs will take to the sky! I've since ascertained it's Phil Dowd - if he officiates to a level where he doesn't warrant deserved criticism...what am I saying...it's a no brainer. That said, he did give Zaba an eyebrow raising acknowledgement as the 4th official at Southampton, when the Jerk Jones was in full flight.